The following videos will help you grasp the scope of the work of recovery and the strategy that Crossover Bible Church has initiated. CBAmerica is receiving designated gifts for Hurricane Harvey and other disaster relief efforts click HERE. Our hearts break for those who are experiencing such great loss of life and property in the face of multiple catastrophic events in our sphere of influence. The number and scope of the current needs are so great that you and your congregation may feel paralyzed, not knowing what to do. Encouraging individuals and congregations to consider initially giving to those organizations best prepared for early relief efforts. Our early response agency of choice would be Samaritan’s Purse. Other options would include the Salvation Army, Red Cross and the North American Mission Board (Southern Baptist). To help meet long-term recovery efforts we are encouraging individuals and churches to give to CBAmerica’s ACTS Fund. Along with WorldVenture, we are partnering with Crossover Bible Fellowship of Houston and the Houston Church Planting Network. They are an anchor relief church and organization that are receiving teams from church wanting to help (use this hyperlink to access a team form). Mission Mid-Atlantic Director, Jim Leary is in contact with CBAmerica Churches in Florida in advance of Hurricane Irma’s landfall on Southwest Florida. Pray for Parkway Baptist Church, Pastor Len Anderson, in Fort Meyer, FL as Irma is projected to have a great impact on this area. We continue to communicate with our CBNorthwest Region in regard to the fires that are devastating the area. Additionally, we will look to Missions Door for disaster relief efforts in the Caribbean and Southern Mexico. How can we help? In the face of a disaster like Hurricane Harvey, this is the cry of hearts inundated with images of the flooding and interviews of those displaced, having experienced the loss of all of life’s possessions. Our hearts are heavy, our eyes are teary and our prayers are intercessory in the face of so many loosing so much. Having been involved in relief efforts from Hurricane Katrina, Hurricane Sandy and flooding here in Colorado along Saint Vrain, I have some observations with regard to responding to the devastation caused by Hurricane Harvey. First, it is impossible to assess the totality of the disaster while it is still occurring. The area of impact is experiencing complete infrastructure failure at this point. Roads, water, sewer and electrical components continue to be compromised or destroyed. It will be several more days before Harvey is done. 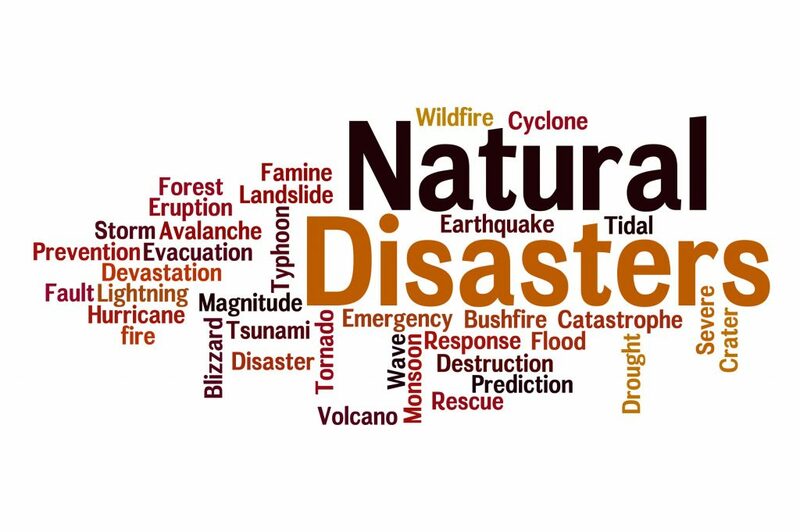 As disasters go, the current operations would be labeled as “Search and Rescue” and “Emergency Relief”. There are several groups that a church can support that are well suited for these stages of disaster relief. I would suggest that if churches want to engage immediately that they consider sending their support to Samaritan’s Purse. Other early responders equipped to move into disasters in these early stages are the Salvation Army, the Red Cross and the Southern Baptist Disaster Relief. Once these groups have done the work that they are best prepared do, the recovery stages can begin. The recovery stage, when people can begin rebuilding their lives, can only begin when basic infrastructure components are restored and people are no longer worried about safety and survival. Early Recovery – They have a place to get food and water and a temporary or transitional shelter that can withstand wind and rain. They can go about their daily lives, beginning to resume some kind of normal existence. Medium to Long-Term Recovery – During medium to long-term recovery, the work of building permanent physical structures to replace tents, trailers, or plywood houses begins, as does restoration of social structures. Community Development – Community development is a means of improving on the “normal.” Traditionally, this phase is not considered part of emergency response. Helping churches that desire to minister to their communities as staging or resourcing areas of relief. Helping families in those churches gain stability in their lives so that they can help minister to their community. All the while looking for opportunity to share the love of Jesus with neighbors by helping them rebuild their lives. Like Katrina relief, we hope to discover opportunities for churches to send teams to assist in recovery. CBAmerica will be receiving designated gifts for Hurricane Harvey Relief CLICK HERE. To give to Samaritans Purse Hurricane Harvey Relief CLICK HERE. On Saturday, April 25, a devastating earthquake with a magnitude of 7.89 hit the capital city of Nepal. The death toll has now passed 7,500 with over 14,000 injured as the nation struggles to cope with devastation. Please pray for the church of Christ in Nepal and ministry of Christ to the people of Nepal. CBAmerica is responding to this disaster by coordinating financial resources towards Nepal Disaster Relief. If you or your church would like help by giving financially, please send your contribution directly to CBAmerica designated, “Nepal Relief.” 100% of those funds will be passed forward to the relief effort. For information about giving, visit the CBAmerica website at www.cbamerica.org or call CBAmerica at 720 283-3030. We pray that churches and individuals will respond with prayerful compassion. with significant amount of aid to this country where our missionaries have served for many years.